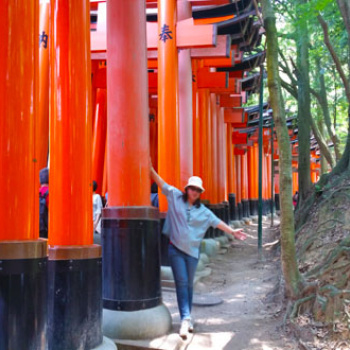 I couldn't bear the torturous heat of summer! I'm always drenched in sweat and constantly dreaming of traveling to Harbin for the Ice and Snow Festival just to ease the agony. (I wish I was!) Thank God, the weather cooled down a bit. And something about the nice weather stimulated my taste buds, creating an urge to eat and thus we decided to get the 6-Mini Cake bestsellers from Diamond Hotel. 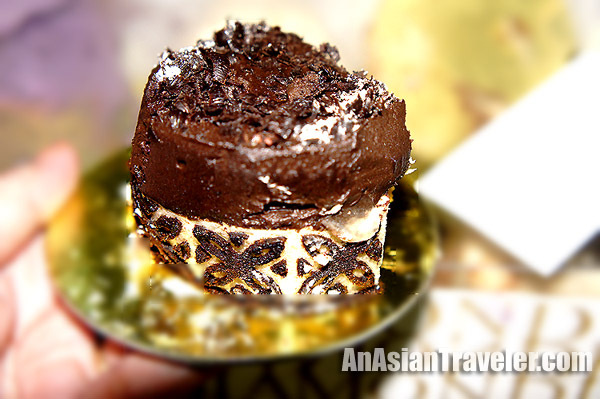 These cakes have been described as not just any cakes but highly artisanal creations. Handcrafted by Diamond Hotel's pastry chefs, freshly made every day using the best ingredients, sourced on the day of the orders. 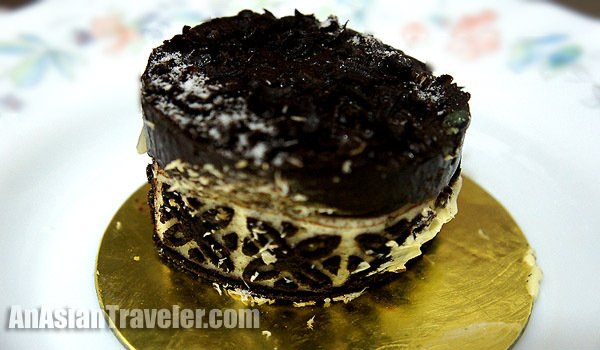 Supermoist Chocolate Cake, touted as the best in the country by many gourmands. 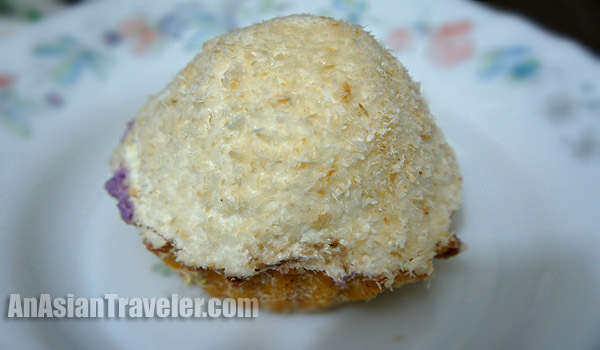 Cecilia, a luscious, melt-in-your-mouth coconut mousse pie. 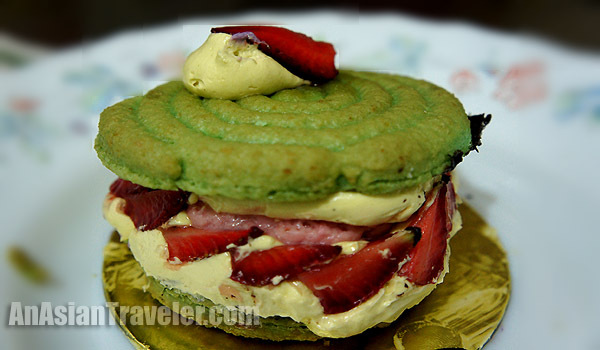 Vanessa, a made of fresh strawberries and cream flanked between fragrant pistachio-flavored macarons. 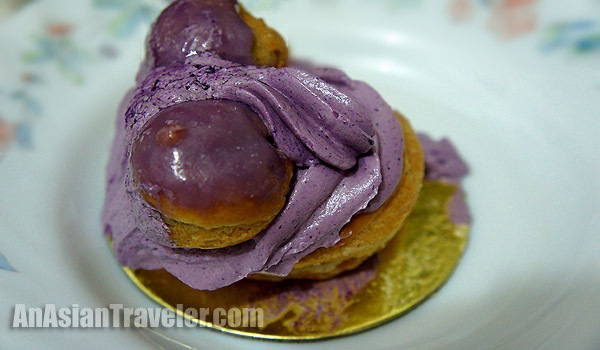 St. Honore, a delicious harmony of puff pastry, pâte à choux and ube ganache. They should have given us Ispahan which was written on the voucher but instead they gave us Danielle, a white chocolate raspberry cheesecake. 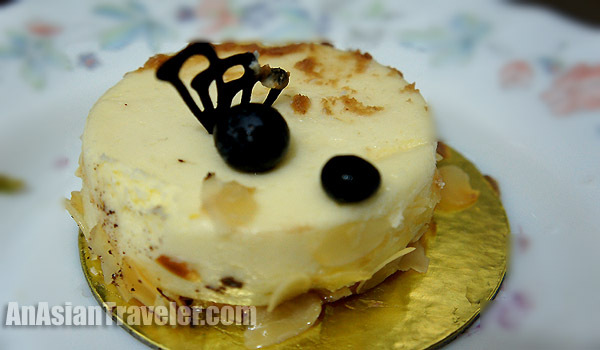 Mont Blanc, features lavish layers of fresh chestnut paste, Chantilly cream, and prunes soaked in dark rum on almond tart. These Mini Cakes are just a little bigger than a cupcake. My favorites are Supermoist Chocolate Cake, St. Honore and Danielle, while the rest of the cakes are ruined by too much cream and mousse especially the Cecilia. Anyway, rain or shine, these go well with a nice hot cup of fresh brewed coffee or a steaming fragrant cup of green tea. 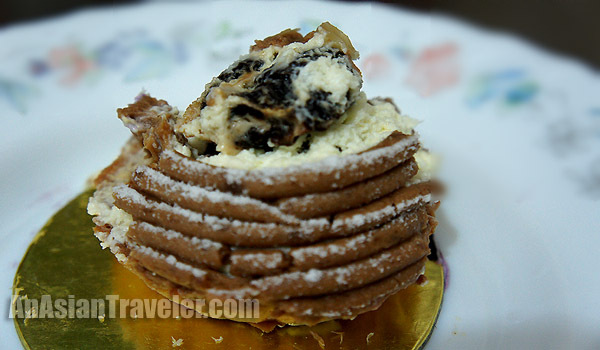 It's an irresistible treat for people like me who loves desserts. This exclusive collection is sold at Php 1,500 but glad we got a good deal. 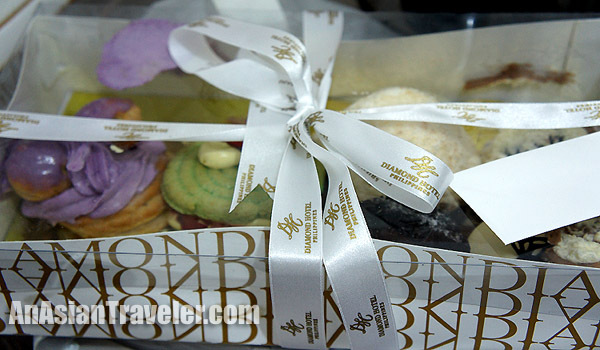 You can get this at Diamond Hotel (Kohikan) in Roxas Boulevard or at The Cake Club in Bonifacio High Street. Please give 3 days advance notice.